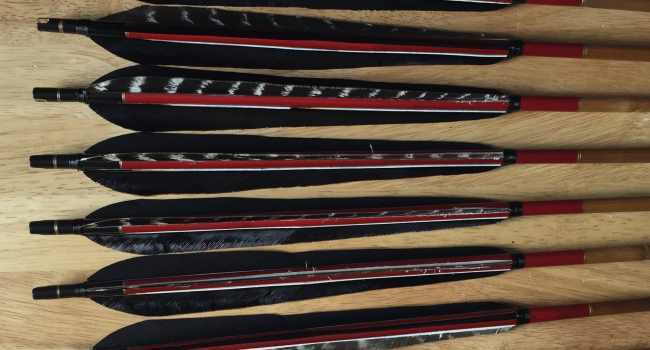 Bamboo arrows have long been associated with asiatic recurves (horsebows), but are becoming popular with wester field archers due to their strength and stability. It’s great fun shooting these grass arrows and we’re lucky enough to have access to some excellent quality spined shafts to play with. Bamboo arrows tend to be a little heavier than their spruce counterparts – on a par with Port Orford Cedar. 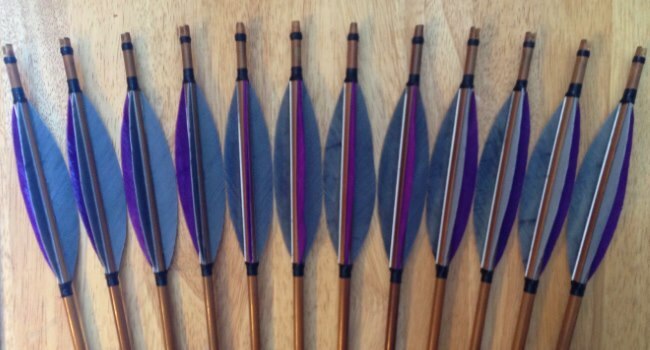 They’re incredibly strong and their natural taper moves the balance of the arrow toward the point, which improves stability at shorter distances and aerodynamics over longer distances. 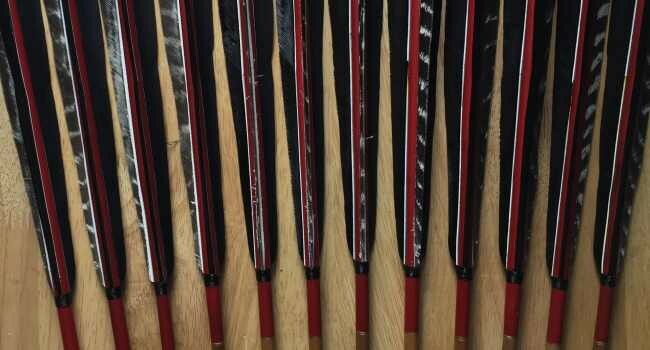 Making arrows from bamboo shafts is a more complicated process than simply sticking nocks, points and feathers on, and this has an effect on the cost, but we try to make these arrows for a reasonable price. If you want anything fancy – let us know. No two shafts are exactly the same size, which lends the arrows a rustic appearance. Points will usually sit slightly pround of the shaft itself, and may be of different sizes (maintaining the same point weight) but this doesn’t have any effect on how well they shoot. We use parallel fit points in order to keep the structural integrity (tapering bamboo can weaken it). 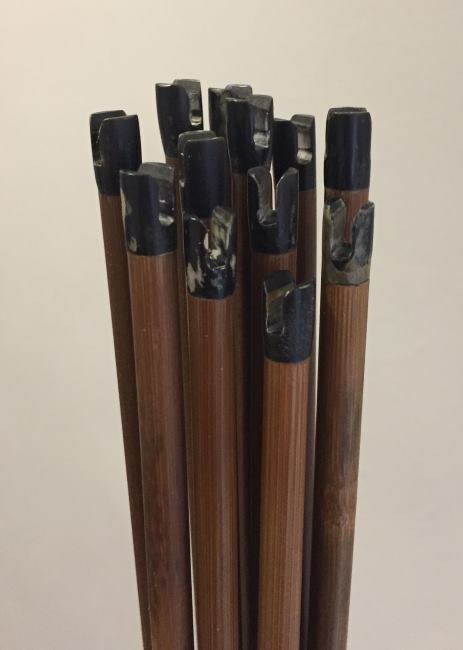 At the nock end we fill the hollow shaft with a wood insert at the self-nock and bind them for extra strength, or use a specially designed and hand shaped horn nock which ensures a more consistent fit to the string. 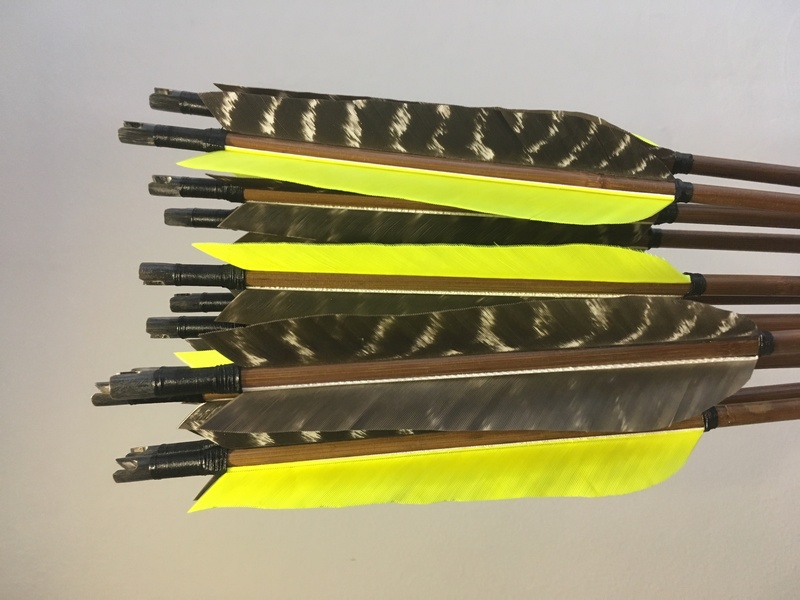 If plastic nocks are preferred, we can provide these. Matching is usually within 6lbs and weight within 50gn/set (or closer). 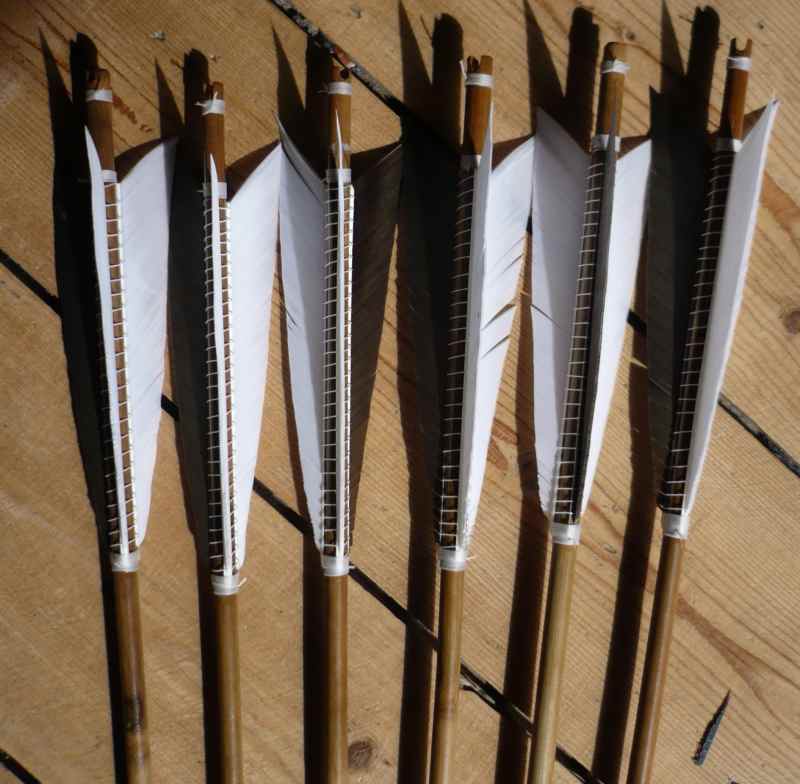 If you've got specific requirements for your arrows, please let us know. Up to 70lb spine, 32" long. 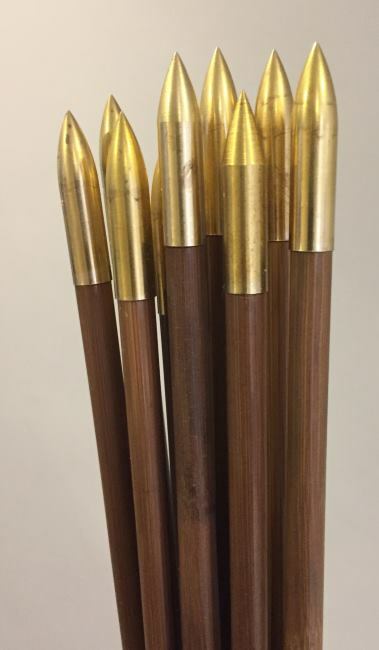 Reinforced self-nock, brass parallel bullet or steel field point, up to 5″ parabolic or shield fletching. Up to 100lb spine, 39" long. Shaped horn nock, parallel brass bullet or steel field point, up to 9" hand cut fletching, bound.